As the founder of Barbara McNichol Editorial, I am passionately committed to helping authors achieve accuracy and artistry, clarity and creativity in their writing. I love making it possible for you to put your book on the high pedestal it deserves. Since graduating with a bachelor’s degree in honors journalism, I’ve gained a variety of experience in companies large and small. To further develop my expertise, I earned a master’s degree in mass communication from the University of Denver. What is my “sweet spot” for editing? 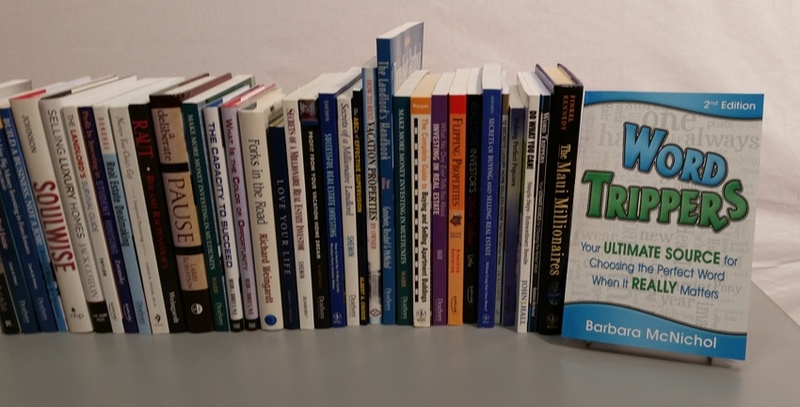 As a dedicated editor for two-and-a-half decades, I specialize in editing nonfiction books in business, self-help, health care, how-to, memoir, spirituality, and more. In addition, I work with you to perfect your articles, blog posts, book proposals, speaker one-sheets, and marketing materials of all kinds. Want to be among other experts enjoying the credibility of authorship? Many authors I work with are members of Global Speakers Federation including National Speakers Association (NSA), Canadian Association of Professional Speakers (CAPS), Asia Professional Speakers (APSS), Professional Speakers Association of South Africa (PSASA). Please refer to my Portfolio page for edited books by category. By request, I’m happy to put you in touch with any of the authors as references who know my work. Eager to learn how to write more clearly and concisely? To help you STRENGTHEN everything you write, I provide writing skills Wordshops™ to fine-tune your business writing skills. Programs are offered through Barbara McNichol Editorial and through Avante Leadership Group, that provides a variety of skills training. Supporting this effort at every step my word choice guide Word Trippers: The Ultimate Source for Choosing the Perfect Word When It Really Matters as well as a subscription program called Word Trippers Tips (www.wordtrippers.com). Please check out how it can assist you in becoming a better writer. Let’s talk! Contact me at 520-615-7910 to set up a time.